Armenian Defense Ministry blamed Azerbaijani armed forces for recent border shelling despite reached ceasefire on Sunday. YEREVAN (Sputnik) — Armenia’s border was fired at by the Azerbaijani armed forces overnight on Sunday, the Armenian Defense Ministry said. "On the night of May 1, Azerbaijani side fired at the state border of Armenia and Azerbaijan. The Azerbaijani side continued firing mostly irregular shots from small arms and sniper weapons of different caliber toward Armenian positions in the northeast," the ministry’s statement reads. The defense ministry added that Armenian forces only responded to the fire out of necessity. 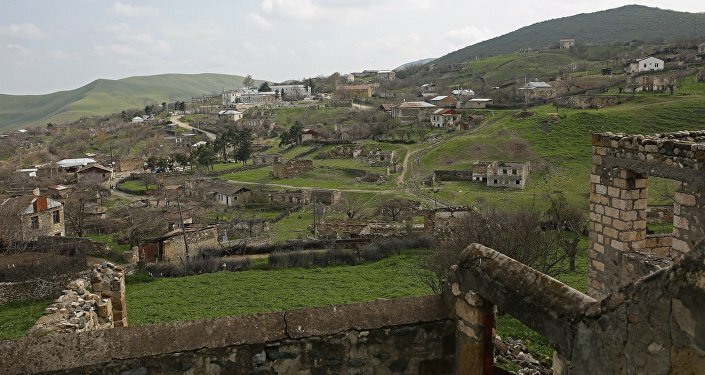 Violence in Azerbaijan’s Nagorno-Karabakh breakaway region with a predominantly Armenian population escalated early in April. Baku and Yerevan have accused each other of provoking hostilities. A ceasefire was achieved on April 5, following days of clashes that led to numerous casualties on both sides. However, all sides to the conflict accuse each other of violating the truce almost on a daily basis.